How long will it take Kevin Reed’s PRO to find Trustee evals? Or at least make an inflated estimate of the cost of finding them? Given that Reed is also the Board’s attorney, you’d think this would be a pretty easy public records request. A federal grand jury in New York investigating corruption in college basketball has requested records from Maryland regarding one unnamed former player, assistant coach Orlando “Bino” Ranson, and Silvio De Sousa, a recruit who ultimately attended Kansas. 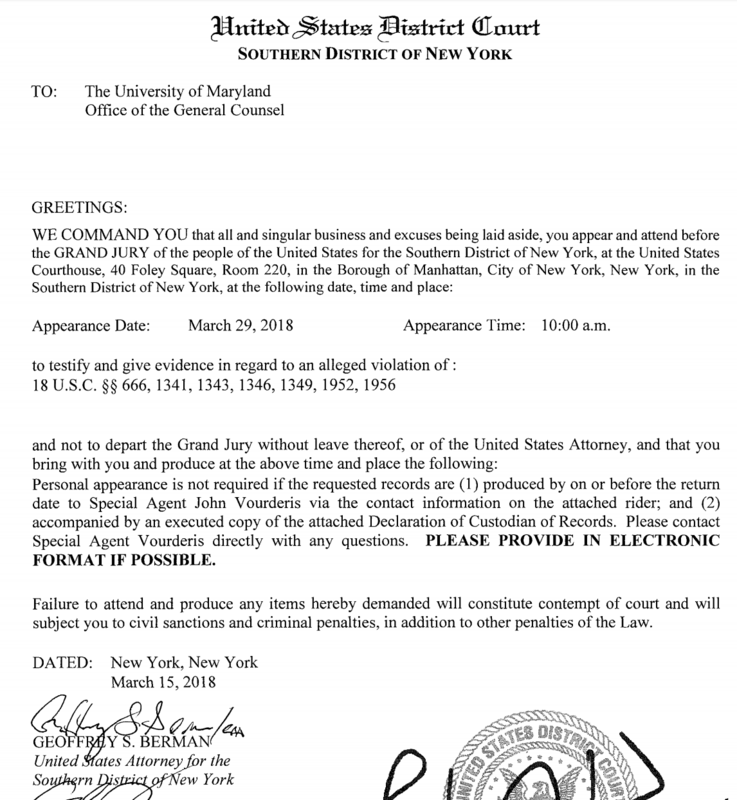 Maryland released copies of the subpoenas Friday, along with a statement asserting the university had already sent back all relevant records, and had found no evidence of any violations of NCAA rules or federal laws by any Maryland coaches, employees or players…. Presumably the feds were investigating Bino and Silvio on charges that they failed to compensate their players for their work hours, i.e. 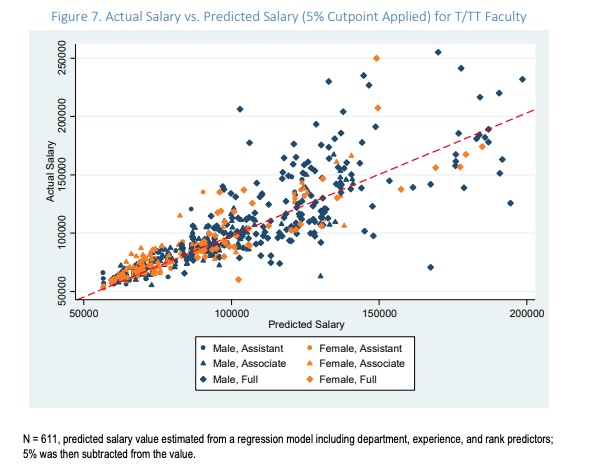 wage theft. 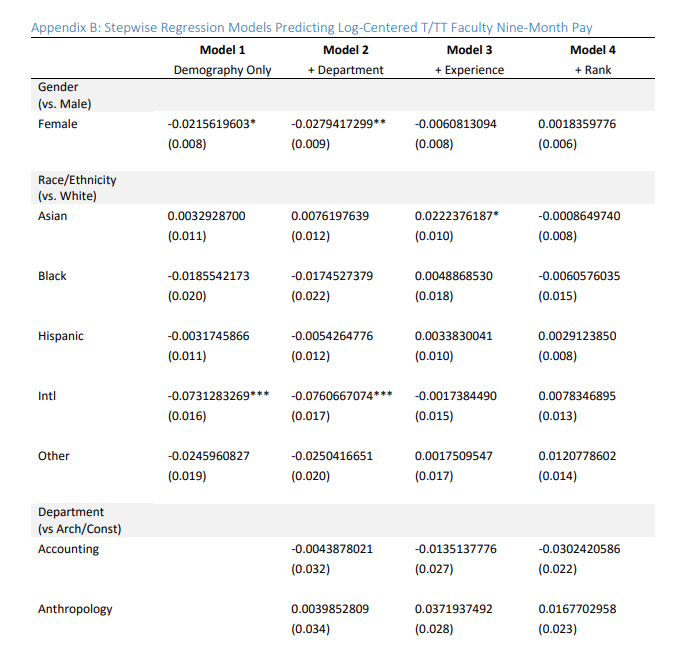 Good to hear that UMD has provided the grand jury with evidence that their “student-athletes” were in fact paid. … In addition to stepping down from the committee, Reed expressed concern that Harbaugh’s participation presented a conflict of interest as well. Transcripts of emails between Reed and Harbaugh were posted to the University Senate blog. (a)An interest or membership in a particular business, industry, occupation or other class required by law as a prerequisite to the holding by the person of the office or position. (b)Any action in the person’s official capacity which would affect to the same degree a class consisting of all inhabitants of the state, or a smaller class consisting of an industry, occupation or other group including one of which or in which the person, or the person’s relative or business with which the person or the person’s relative is associated, is a member or is engaged. (c)Membership in or membership on the board of directors of a nonprofit corporation that is tax-exempt under section 501(c) of the Internal Revenue Code. 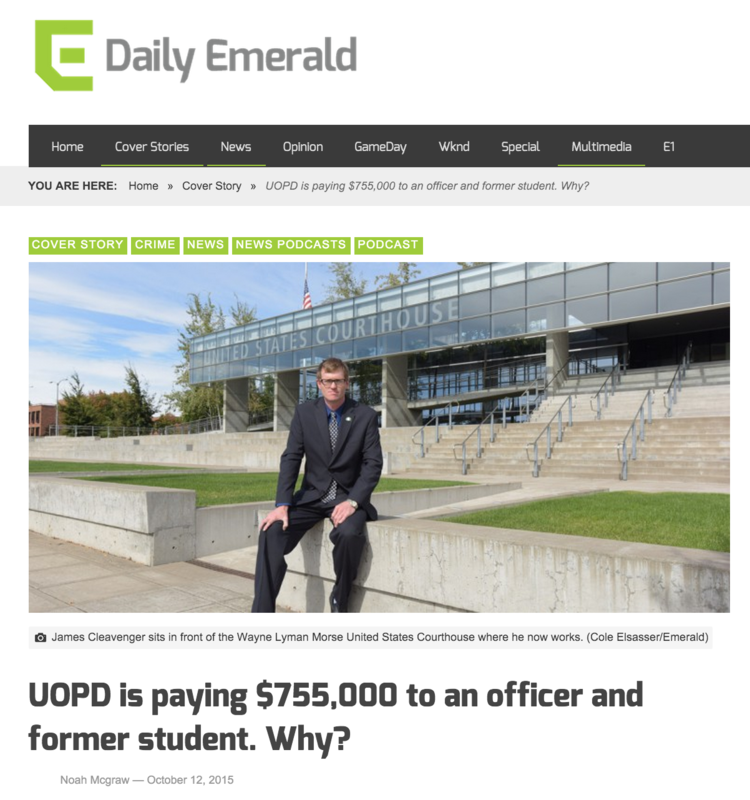 A student reporter at the University of Oregon was charged more than $100 to obtain UO public records before being told the university would not release them to him. 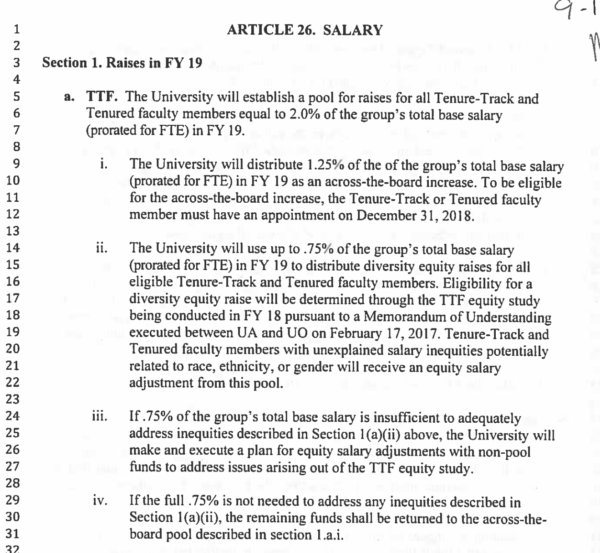 The reporter didn’t get a refund, and now the university’s Senate Transparency Committee (STC) is asking whether the UO is violating its own policy and abusing public records fees in order to discourage the public and news media from trying to shine light on the university’s operation. 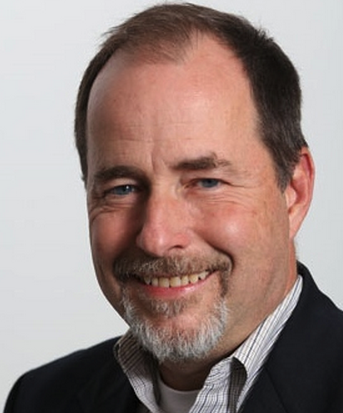 Michael Tobin, a senior news reporter for the Daily Emerald, paid the UO Office of Public Records $113.64 for records before he was told they were exempt from release. He has not received a refund. Tobin submitted a complaint to the STC to find out why he can’t get his money back. … Tobin filed his records request on Feb. 1 for any “federal subpoenas the University of Oregon has received over the past year.” Tobin told the committee he was requesting records he thought might be connected to the 2021 IAAF Track and Field World Championships; IAAF’s selection of Eugene to hold the event has spurred criminal investigations in the US and in Europe into possible corruption around the decision. The UO Public Records Office currently has many unfilled requests for public documents, going back as far as August. They haven’t yet filled any of the requests they’ve received since January 17, more than a month ago, except for boilerplate requests for coaches contracts or directories. A lot of public records are in a filing cabinent. However, recently people have started using something like this ediscovery tool to help them find out public records quicker and mroe efficiently. The Oregon DOJ says two weeks should generally be enough time to provide public records to the public. You can also search up public records from the convenience of your home by using this useful website, Backgroundchecks.org. Despite my cooperation, Reed tried to convince the PR Officer – who works for him – that I’d tried to hide something. She wouldn’t buy it, and last night she updated the log entry to show that I’d provided the records: Those email exchanges are at the bottom of this post. As I mentioned previously, all we need is an estimate of how long it will take you (or someone else) to find, gather, and send any responsive records to our office. If someone else will do the work, please send their name so we can form an accurate estimate. There is no need to send any documents at this time; however, if gathering and sending the records will take less than one hour the office asks that you provide the records at your nearest convenience. Thanks for your assistance, and feel free to contact us if you have any questions. The attached folder has the public records you requested. Please let me know if you have any questions. 1) As you can see in the emails below, GC Reed made these requests in his official capacity as University of Oregon GC, not as “Private”. 2) As you can see in the emails below, GC Reeds request evolved over time, and I believe the log should show the final actual request. 3) As you can see in the emails below, I have provided the documents that GC requested in that final request, and the log should note this. Unless he is prepared to describe the exemptions under the Oregon Public Records law on which he relied to withhold responsive emails, and unless you concur that those exemptions justify the withholding, I think it would be inaccurate to say that he responded to my request. Should you need any guidance on the interpretation of the PRL as it relates to exemptions, please consult with Doug Park or Bryan Dearinger. I responded to this on Feb 6th, ccing Thornton, with a folder which I believe contains all the relevant emails. There are no relevant texts. I am not claiming any exemptions under the PR law. I’m not sure why he thinks my blog comment suggests that I’ve done so, or why he thinks my blog is relevant at all to this request. Please update the Public Records log to reflect that this PR request was made by GC Reed in his official capacity, and that the request has been satisfied. And Ms Thornton promptly and helpfully responded by correcting the log. As you know, the office has a long practice of holding that employees of a public body cannot make public records requests of the public body they work for. As such, Mr. Reed’s public records request was made in his capacity as a private citizen, just as your public records requests are make in your capacity as a private citizen, rather than a professor. Additionally, I specifically asked you to provide responsive records to the office. We ask that you (and anyone providing records responsive to a public records request) do this to ensure the records are responsive, and that information that is exempt from disclosure is not inadvertently provided to the requestor. In reviewing the records you provided Mr. Reed I noted they contained personal contact information, which may be exempt from disclosure. Providing the records to the office, rather than directly to the requestor, would have prevented that information from being released. 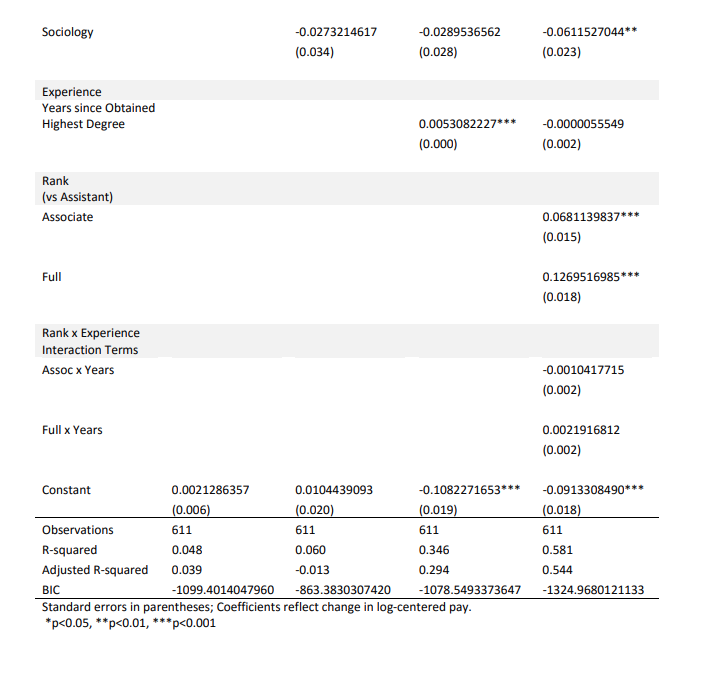 It is also unusual for the office to have received the records in .PDFs. The office prefers to receive responsive records in their native format, and requests that you provide any future records to the office in their native format. When there is doubt as to whether all records have been provided in response to a request the office makes a practice of confirming with the office or employee who assisted the office that all records were indeed given to the office in response to the request. The office appreciates that you have now confirmed that you have provided the entirety of the records responsive to Mr. Reed’s request, and I will now close this matter. 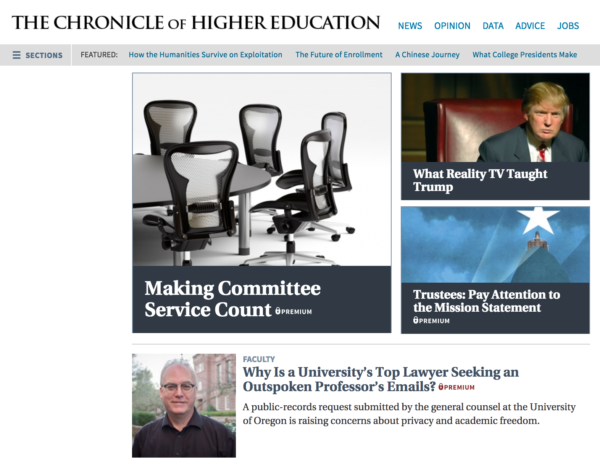 Will UO charge student journalist for HLGR’s Bowl of Dicks docs? 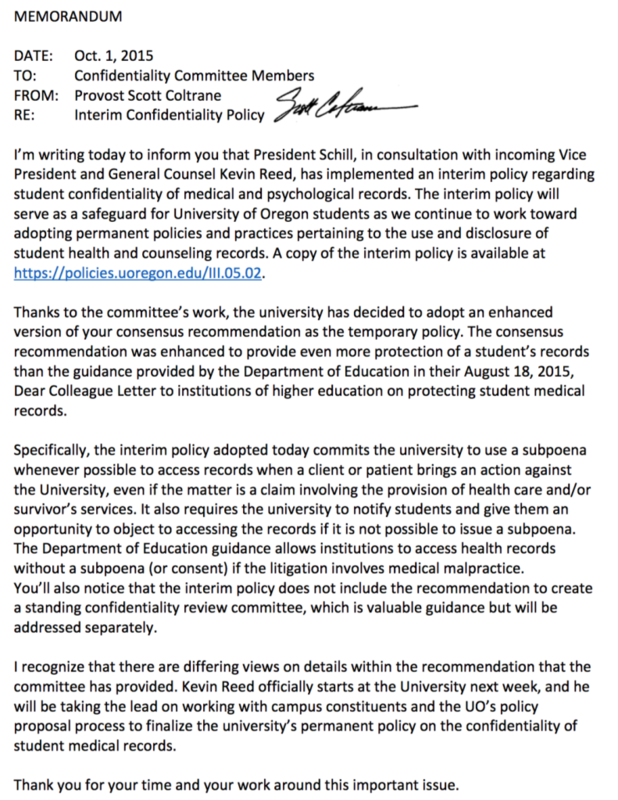 Under Dave Hubin UO’s Public Records Office refused to give fee waivers to journalists – even UO student journalists. Oregon public records law requires an explanation for fee waiver denials. Hubin and PR Officer Lisa Thornton ignored that law. McGraw is requesting public records showing how much UO paid its defense attorneys, and for what, presumably for a follow-up story. 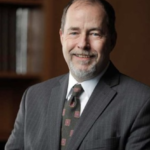 President Schill has hired a new Vice President and General Counsel, and given him authority over the Public Records Office. What will VPGC Kevin Reed do?